Adam Jude at the Oregonian writes that the NCAA and the University of Oregon agree that there was at least one major violation committed by football coaches sometime between 2008 and 2011 under the watch of former head coach Chip Kelly, which could potentially affect the Ducks’ run to the BCS Championship this season. However, the nature of that violation is still being debated, as Oregon believes the infraction to be more minor in nature than the NCAA does. 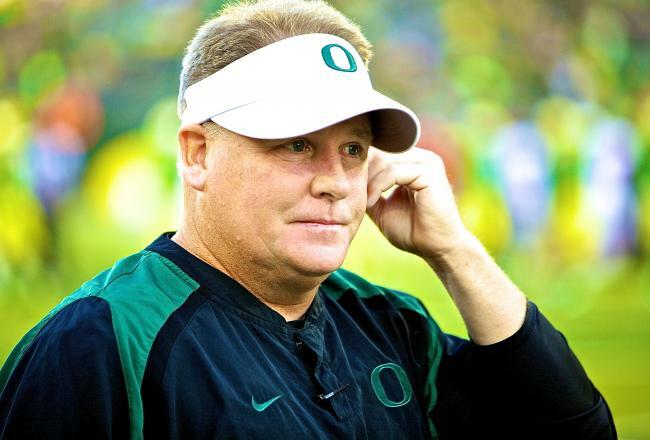 The Ducks tried to self-impose sanctions in the past year, with penalties including a two-year probation and the loss of one scholarship per year for each of the next three seasons. It has been widely reported that Oregon hired known “street agent” Willie Lyles to help them in their recruiting efforts, particularly in Texas, and his involvement in their program has come under heavy scrutiny. Because the NCAA has nearly full power to impose whatever penalties it chooses to, Oregon fans should be somewhat concerned, but the sanctions should not be as severe as the ones levied against USC, Miami and Penn State in recent years. Read more of Jude’s article in the Oregonian here. This entry was posted in BCS Championship Tickets, College football, Sports News and tagged 2014 BCS Championship tickets, 2014 BCS Game, bcs championship tickets by promc58blog. Bookmark the permalink.